Turtle nesting season begins on May first; when in a life cycle as old as time, gravid female sea turtles lumber up onto Florida’s beaches, deposit their eggs in carefully dug nests, and return to the ocean. It is the time of year when we are all reminded to bring in beach furniture at night, avoid nests, and shield or divert our lights so that the hatchlings, who appear a few weeks later, won’t be confused and head inland rather than towards the sea. Many counties require new construction within sight of the beach to have “turtle code compliant” glass with a light transmission of 45% or less. Many gulfside residents in existing homes and condos who want to help have also installed turtle compliant windows. One way to meet the code without the expense of actual window replacement is to install a quality window film, such as SolarGard® or Panorama®; that meets the light transmission standards. Since tinting the windows also reduces heat input, the benefits to both the turtles and the homeowner are immediate and obvious. The turtles won’t be confused, and the homeowner will be more comfortable! Think about this. If you live at the beach anywhere on Florida’s west coast, your windows face west into the afternoon sun. That means you are subject to the discomfort of excess heat, eye-watering glare, and harmful ultraviolet light! You can improve your interior environment with an affordable installation of window film and help the turtles at the same time. That’s a “win – win” for both you and the little guys who are just trying to make it home without getting lost. Solar-X of Sarasota can show you a host of “turtle code compliant” window films that will enhance – not compromise – your view; either day or night. The savings on your electric bill will put a smile on your face as well. 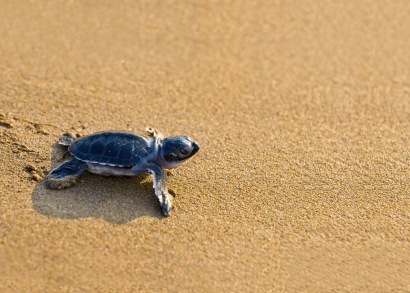 Contact Solar-X today to get started; and let us help you, while you help the turtles. Rated “A+” by the Better Business Bureau.